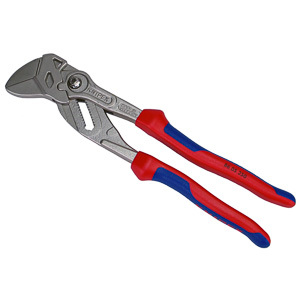 Craftsman power tools are a very common sight in homes around America. 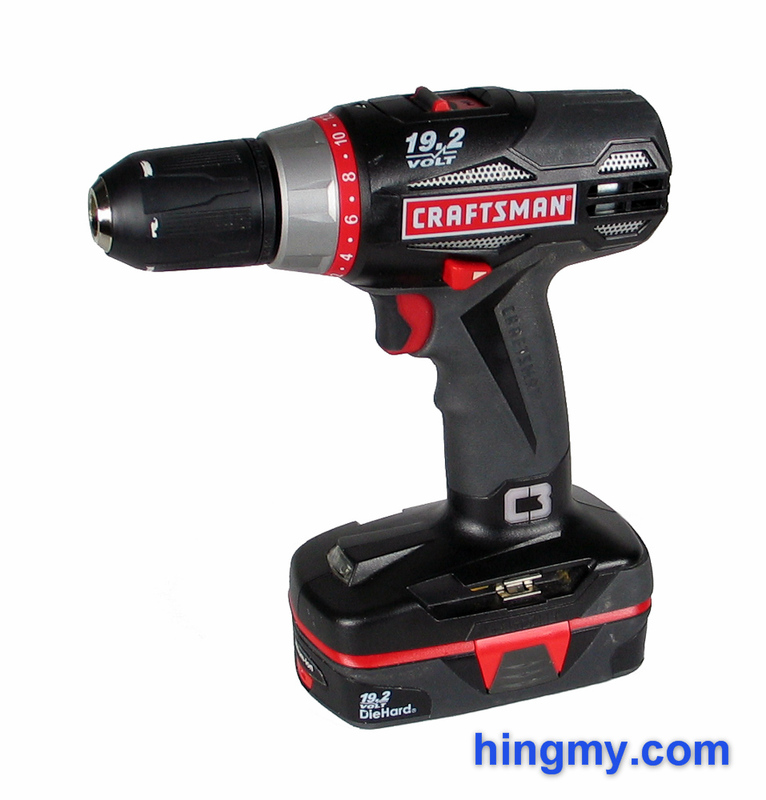 The 17310 Drill/Driver is Craftsman's heavy duty cordless tool for drilling and driving. It's aimed at the educated consumer who demands quality and performance at a reasonable price. Let's take a look at how well the 17310 satisfies when being judged on these criteria. The Craftsman 17310 is a generic pistol grip design. The motor and clutch assembly at the top are counter-balanced by the battery pack the bottom end of the grip. The tool is somewhat front heavy as most pistol grip drills tend to be. Vertical balance is near perfect. The drill feels comfortable in your hand. The flat bottom of the battery makes it easy to put the tool down. Build quality is excellent. The drill feels like it is a solid piece of metal and plastic. There are no rattles or squeaks. The 17310 does not appear to be weather sealed. The cooling vents for the motor are covered with a stylish mesh. The gear selector at the top of the tool is the weakest part. It does not feel as solid as the rest of the tool. The forward/reverse switch is located at the top of the grip. It's a good implementation of the through-the-body design that is found on so many other drills. Pushing the button on one side makes it pop out the other. The switch itself is sturdy and easy to operate with the hand that holds the tool. 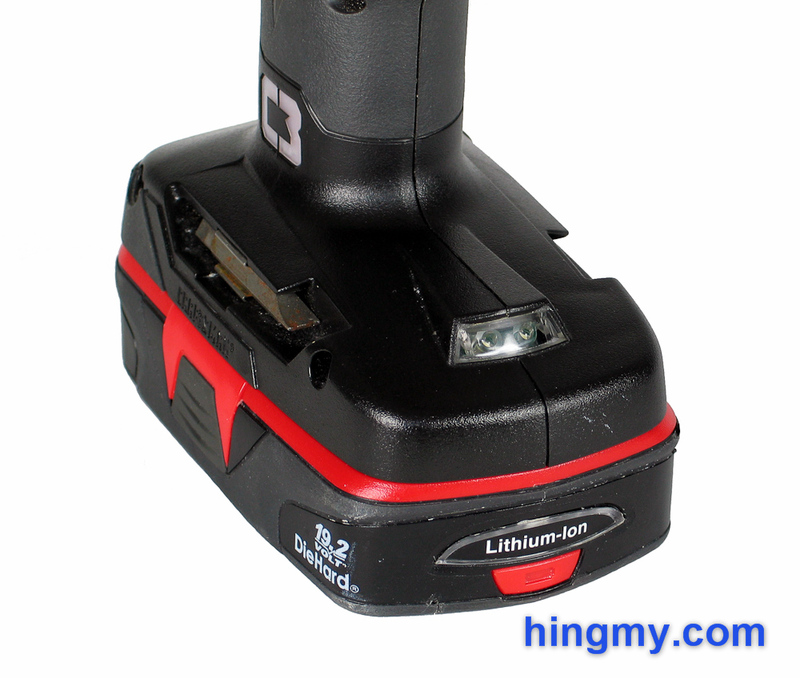 A work light is built into the very bottom of the grip at the top of the battery housing. It illuminates when the trigger is pressed. The output and direction of the light is excellent. The work area is bathed in nice bright white light. Unfortunately the light turns on and off with the push of the trigger. It's not possible to pull the trigger lightly enough to just turn on the work light. Starting a screw in a dark cabinet cannot be done. When the light is on the bit spins. This a really unfortunate decision in an otherwise excellent design. The 17310 is equipped with a friction chuck. Changing bits is done as easily as it is done on any friction chuck. Securing a bit properly takes very little strength. Only large diameter Forstner bits proved to be a challenge for the 17310. 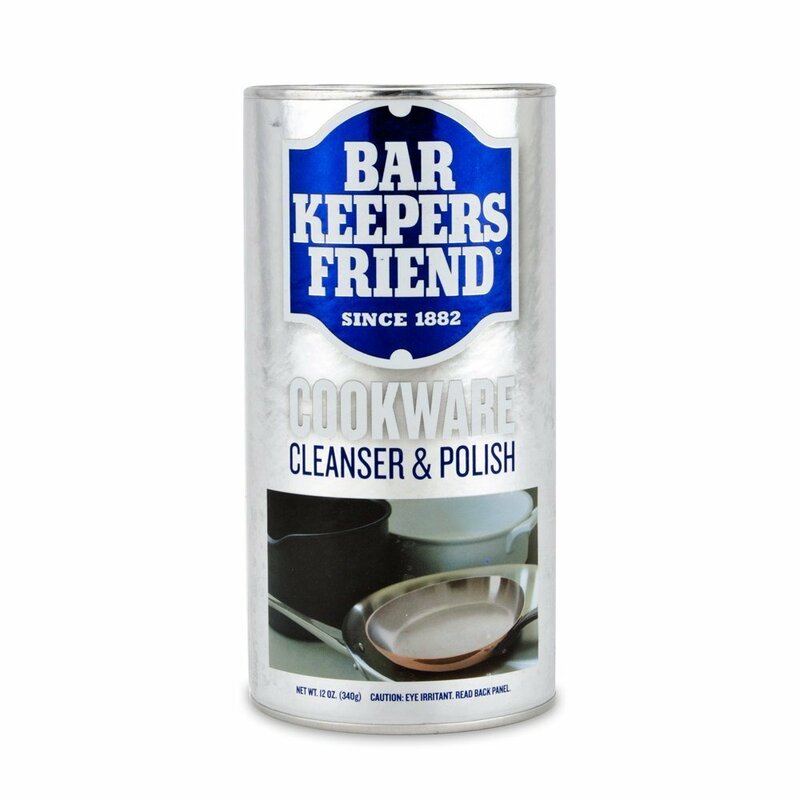 A firm hand and a little muscle power, however, get these bits locked down properly. The tool has a clutch with 24 different settings. Each setting is different from the next in meaningful and measurable way. The clutch slips with a noticeable amount of vibration. The clutch is only useful when driving screws. In drill mode the tool locks the clutch. 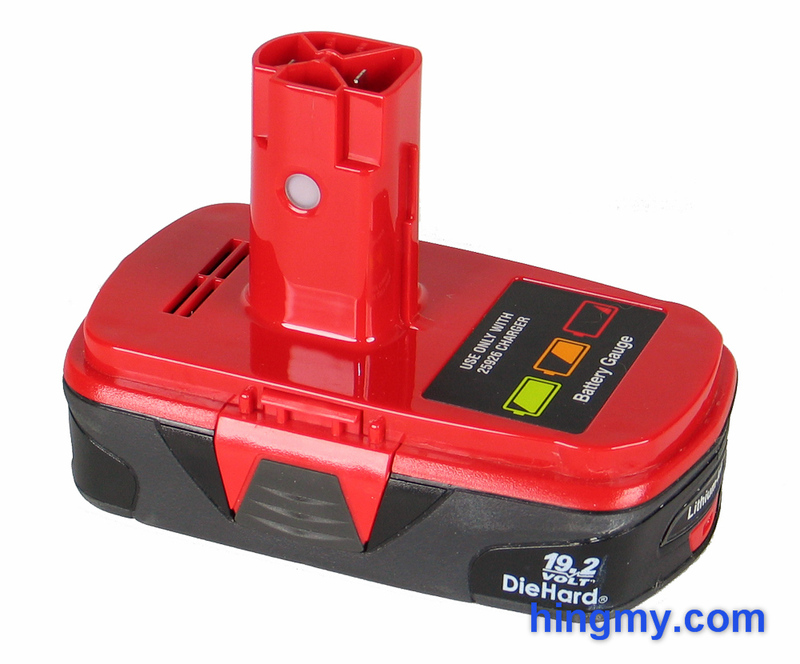 The 17310 is powered by a single lithium-ion battery pack. 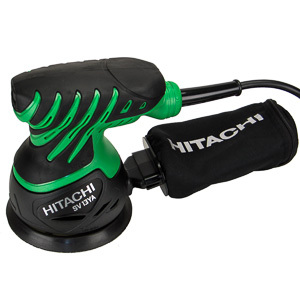 The medium size battery gives the drill an average life between battery changes. 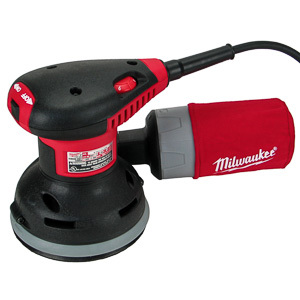 Two batteries used with the included charger allow the tool to be used continuously. Craftsman has equipped the 17310 with an innovative battery level indicator. An LED built into the handle indicates the battery level using three colors (green, yellow, red). The feature certainly works as designed, but I have found little use for it. If this is your primary drill, you'll probably want to run two batteries anyways. 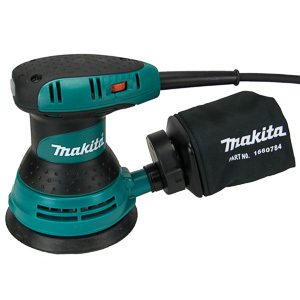 For home users the indicator allows the tool to be run with just a single battery. It's easy to start the job with a full charge every time. The included charger is well built. It recharges a spent battery in about 45 minutes. The battery pack does get hot when being charged, but the charger does not. In drilling mode the 17310 excels. The 1/2" friction chuck accepts just about all drill bits you'd want to mount on a portable drill. The grip and body are inline with the drilling axis. Downward drilling feels especially natural. Clearance above the bit is average. The 17310 will get into tight spaces, but it will quit before other full size drills do. The speed selector in particular sticks out more than it needs to. The motor on the 17310 is plenty powerful for drilling. The extra power designed into the tool for driving is noticeable. The 17310 chews through wood without any problems. Getting the tool to bind proved to be impossible. With a sharp bit slowing down and accelerating in the middle of a cut is not a problem for the 17310. The two speed ranges of the drill come in handy when dealing with hardwood. The slow speed just about halves the top speed of the drill. Regulating the drill's speed with the trigger feels natural and consistent. Getting to and maintain a certain speed can be done very easily. The absence of a hammer mode makes drilling into concrete impossible. The driving performance of the 17310 is lackluster at best. 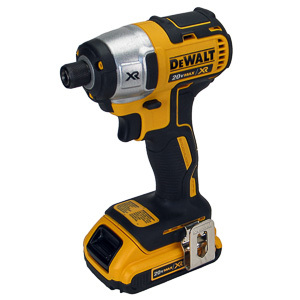 At only 28 ft/lbs of torque the tool struggles to sink a 3inch screw into a 2x4. The hammer mode never engages. As a result the screw goes in slowly. A lot of force is required to keep the bit from slipping off the screw head. With care the 17310 can be used as a driver. If you only need to drive a few screws, the 17310 will get the job done. Driving a subfloor worth of screws is a different matter. The job would take twice as long as it would take with a standard quality driver. 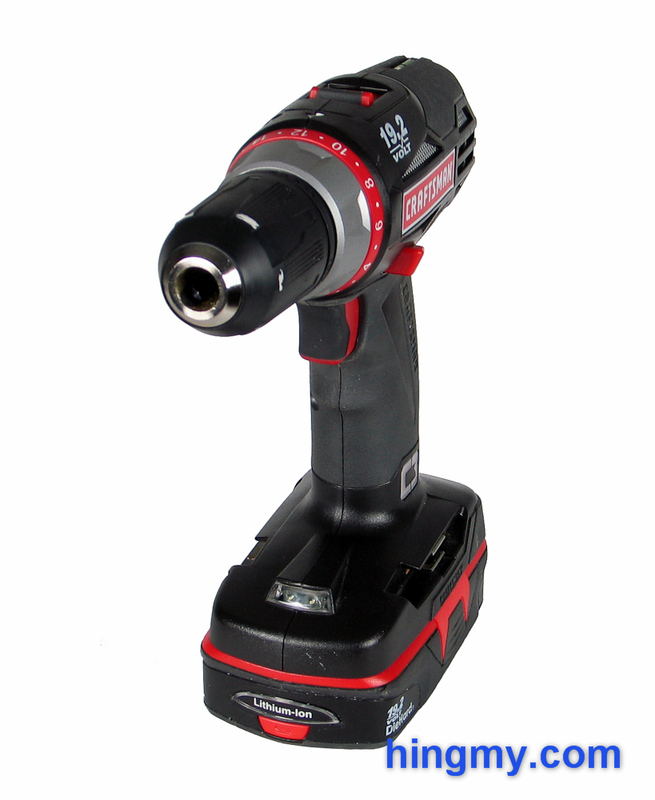 The limited torque of the tool makes the 17310 really only usable as a drill in a professional environment. At home the power the 17310 does have gets you far enough to make it a recommendation. The 17310 is a good drill, and a somewhat limited driver. The marketing department at Craftsman probably thinks the Drill/Driver designation makes the tool sell better. I think that does a disservice to the 17310. 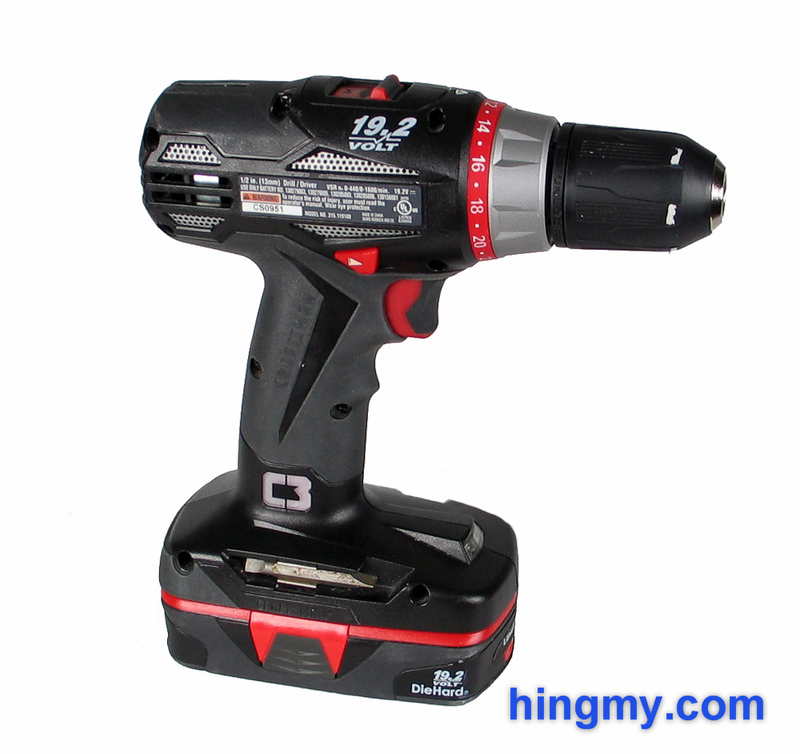 It is a very capable drill with many features not found on the competition. In the driver category it compares unfavorably. 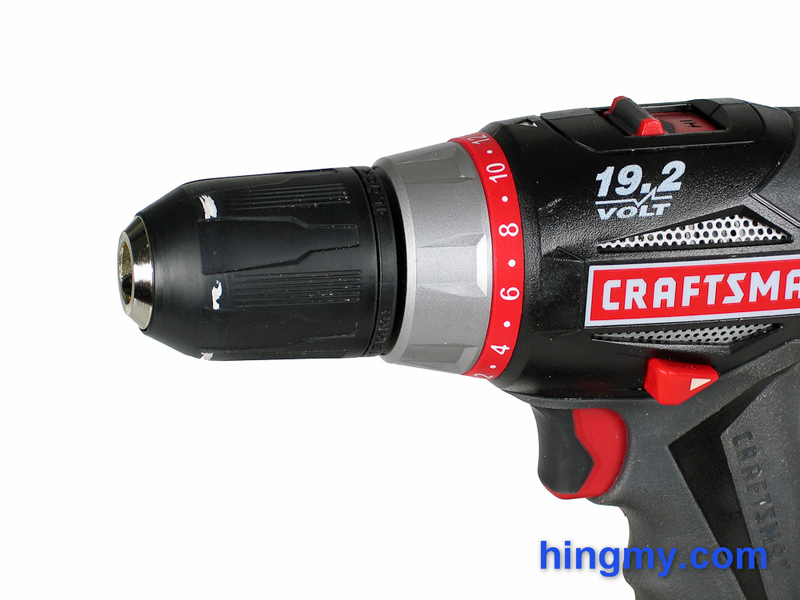 The battery level indicator and overall power of the Craftsman 17310 make it a good choice as the first and only cordless drill in a residential setting. 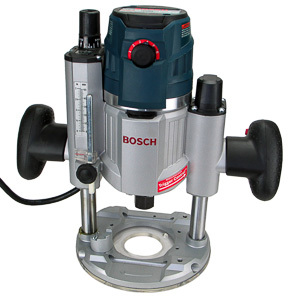 The drill provides good value for the money paid. If you can get a good price, certainly consider the 17310. 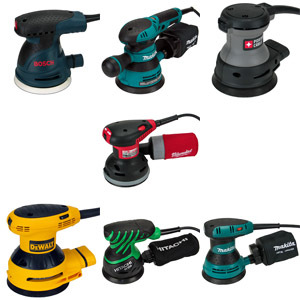 In a professional environment a dedicated drill combined with a dedicated driver is better choice. The capabilities of the 17310 strike the wrong balance to survive on the job site.